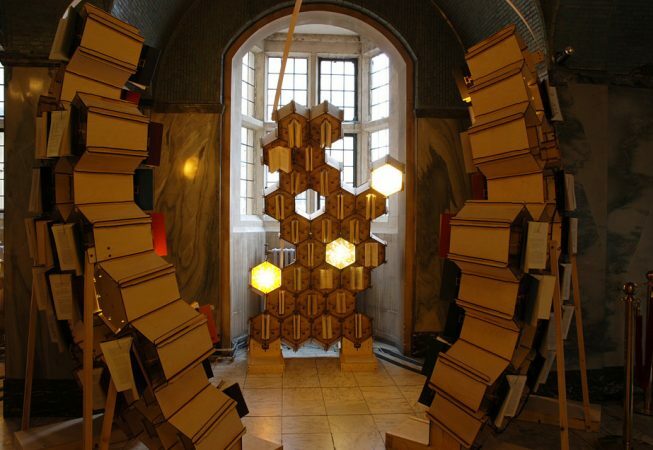 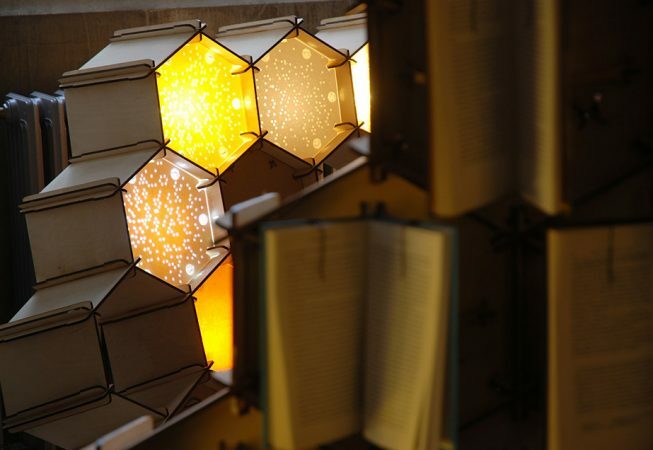 Lining the vaults of Bristol’s Central Library, four hundred robotic books inhabit the cells of a hive which seems to emerge from the fabric of the building. 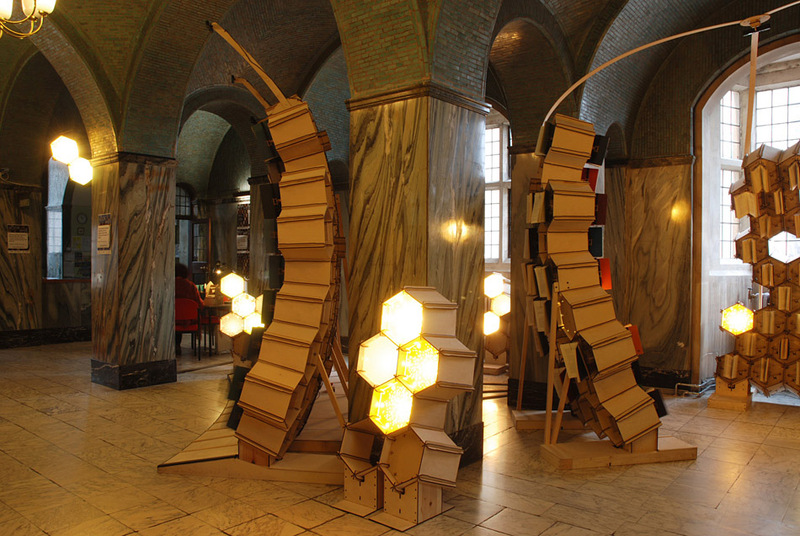 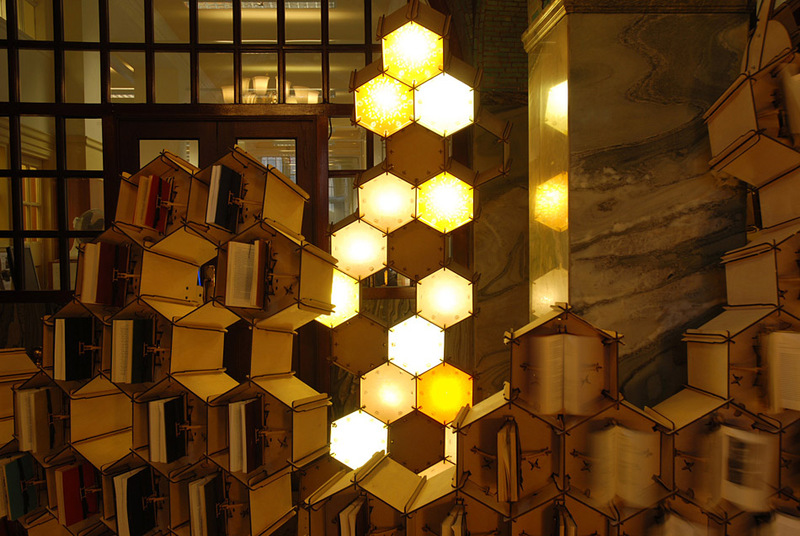 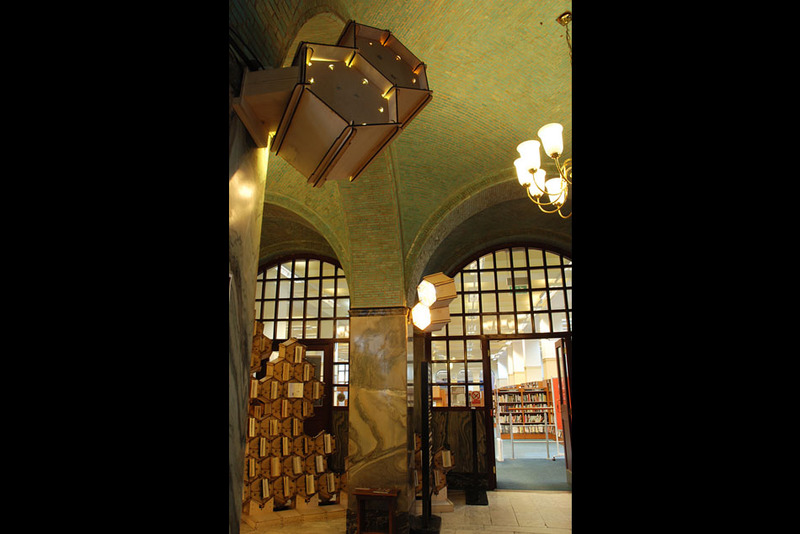 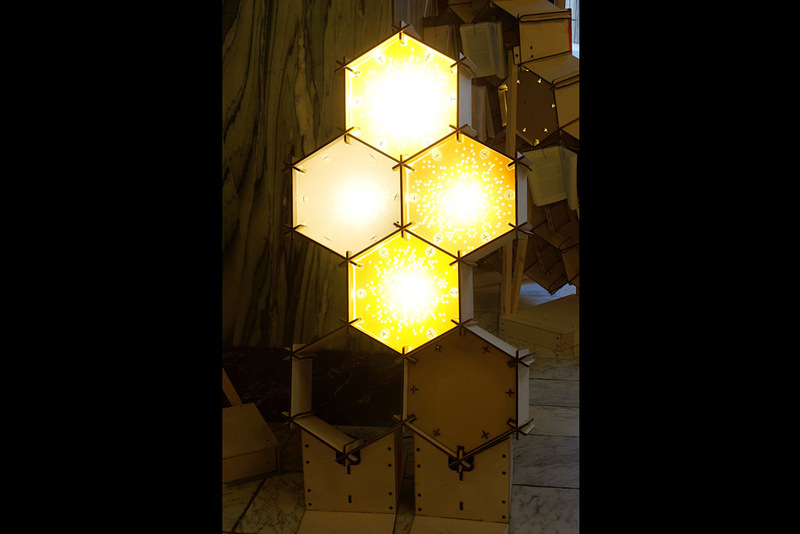 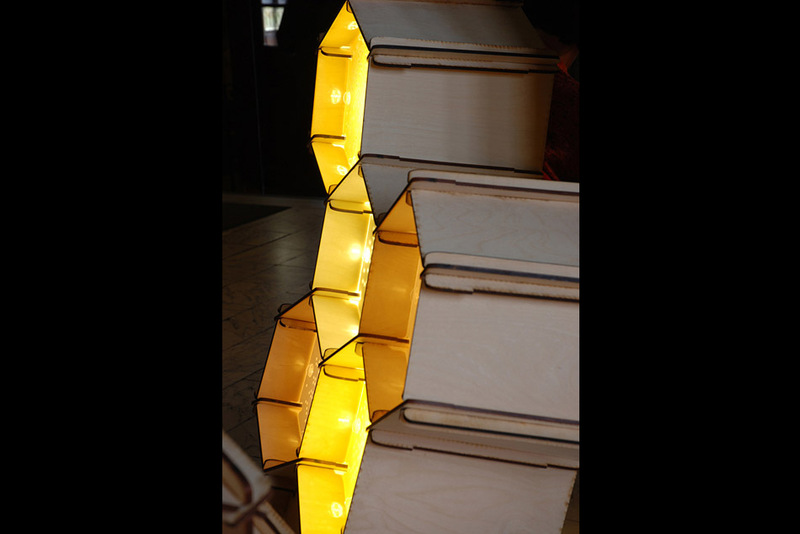 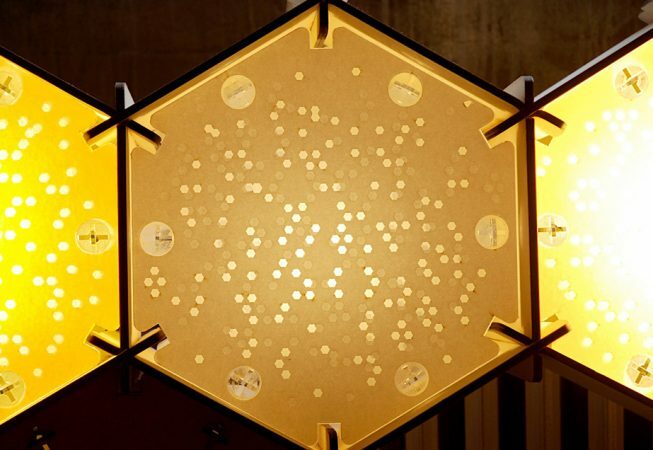 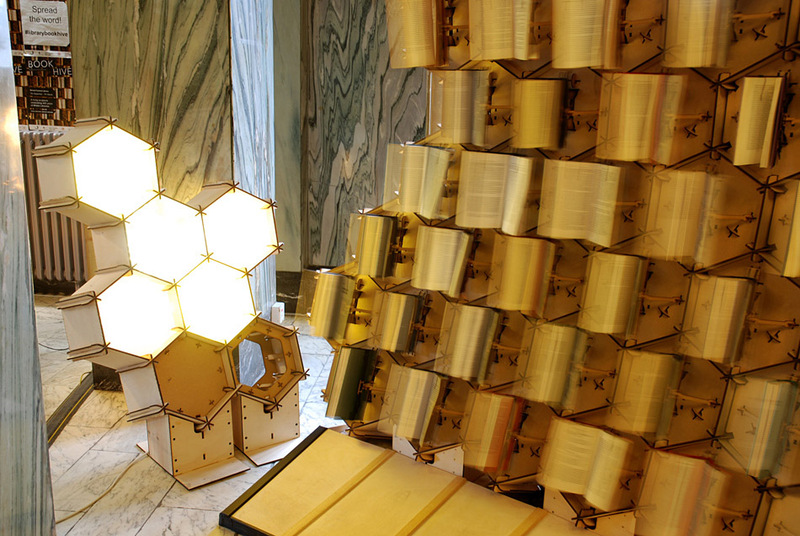 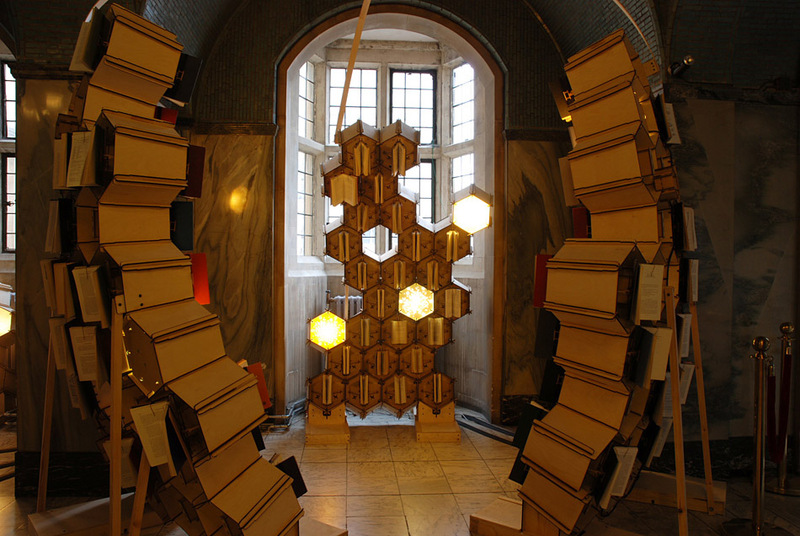 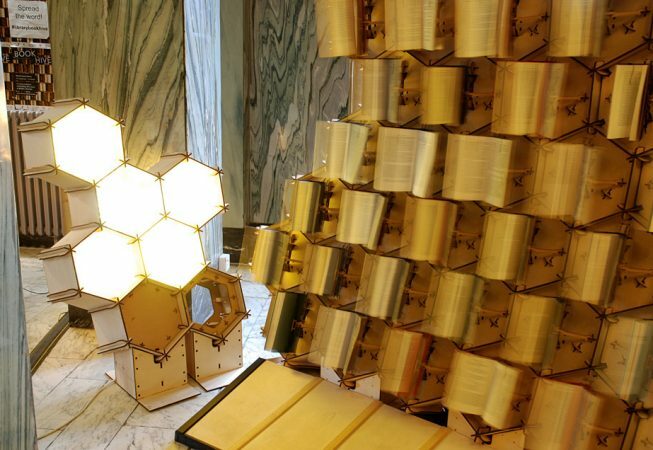 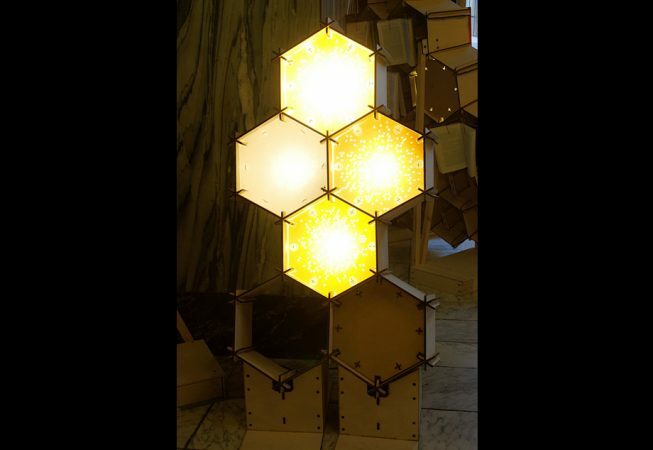 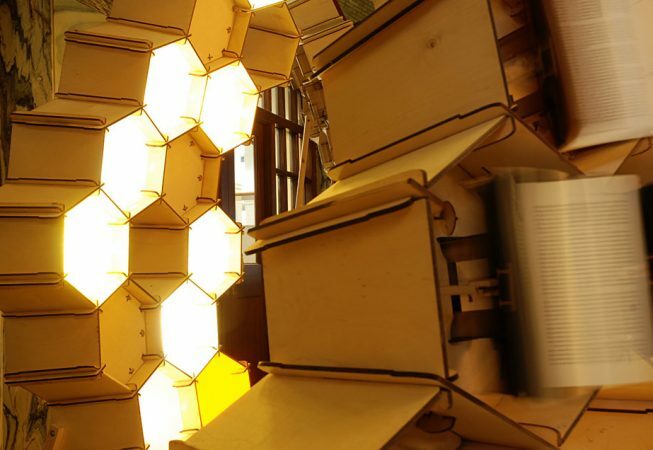 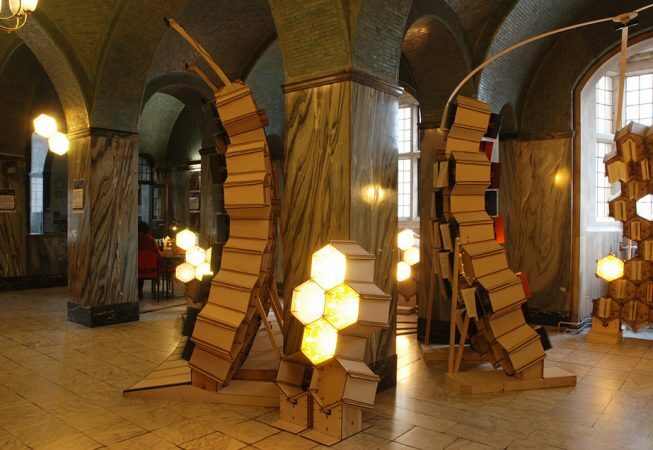 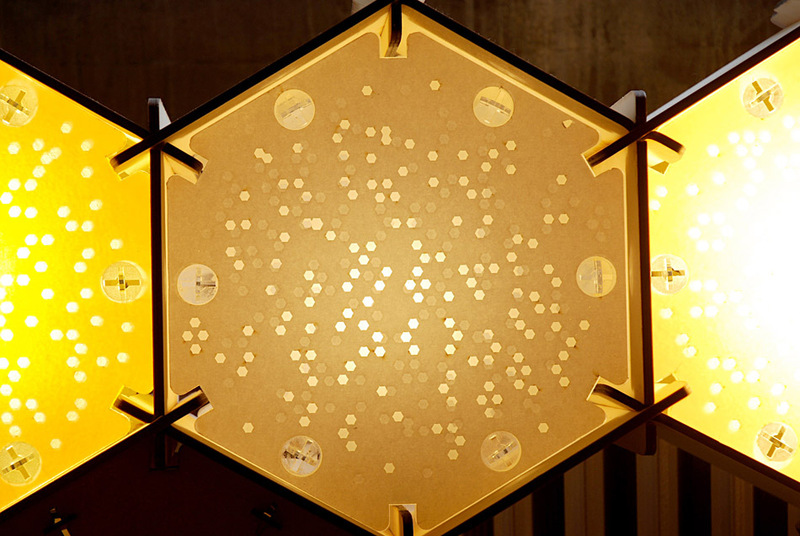 Created for the library’s 400th anniversary, Bookhive merges the technology of robotics with the traditional medium of the printed book to bring the physical experience of reading to life. 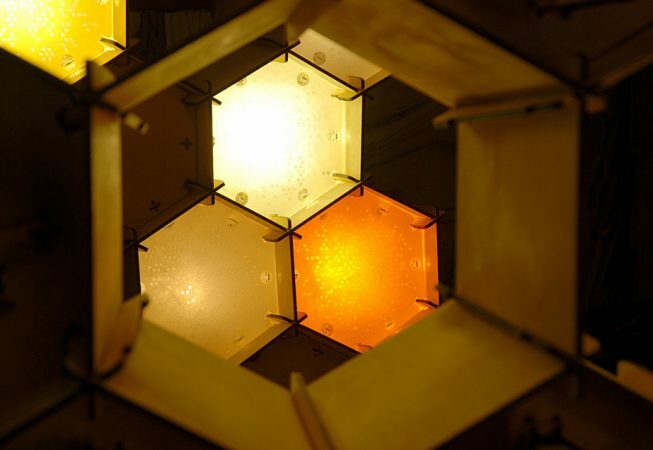 When people inhabit this space, a vitality emerges; they become part of something larger, more powerful than themselves. The visitor disturbs the hive, setting the books into a swarm, a moment of wonder. 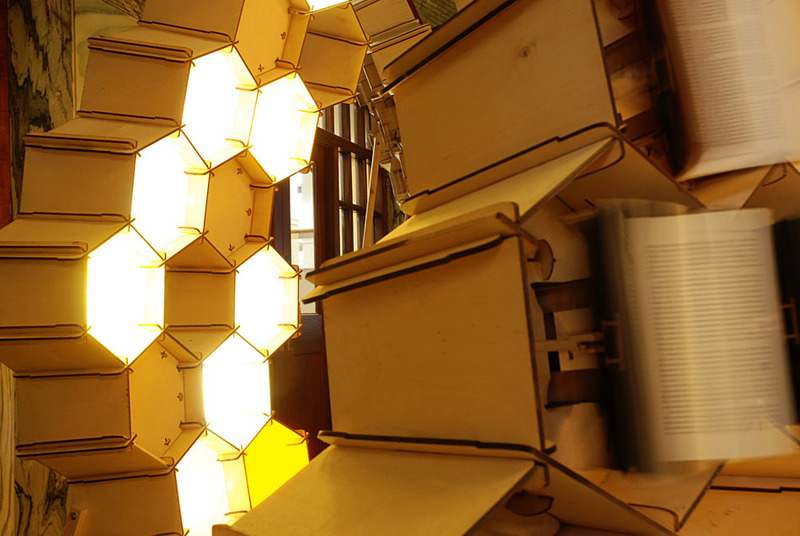 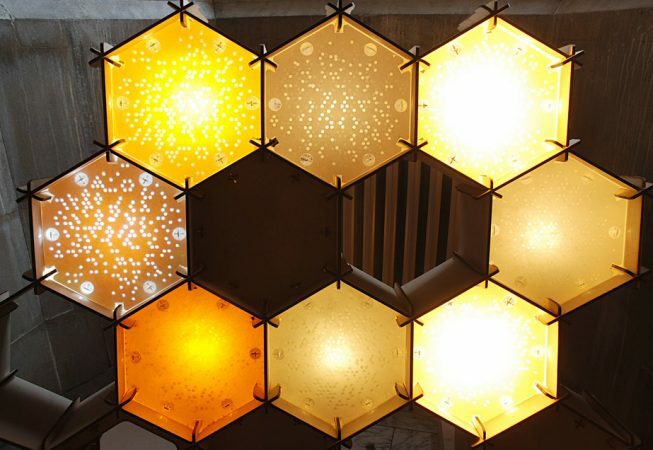 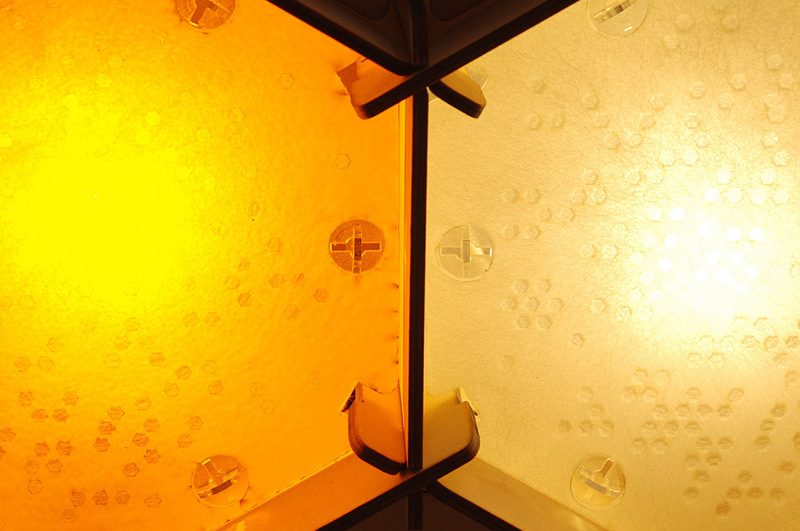 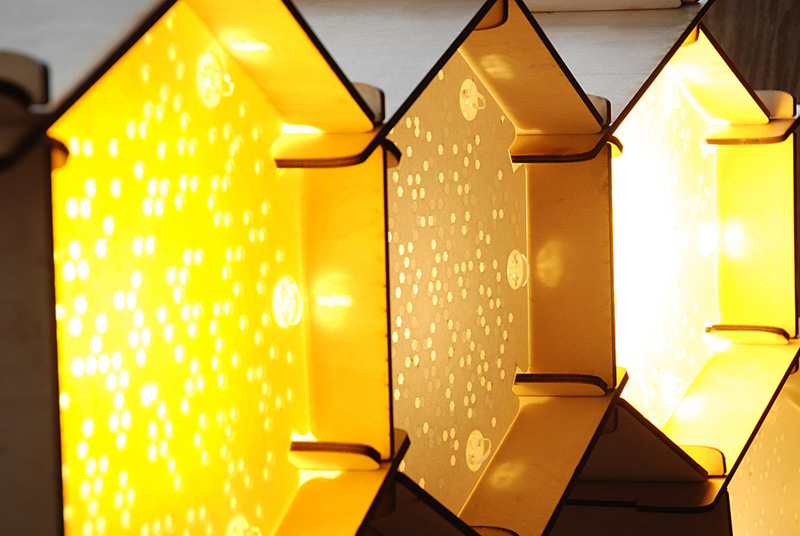 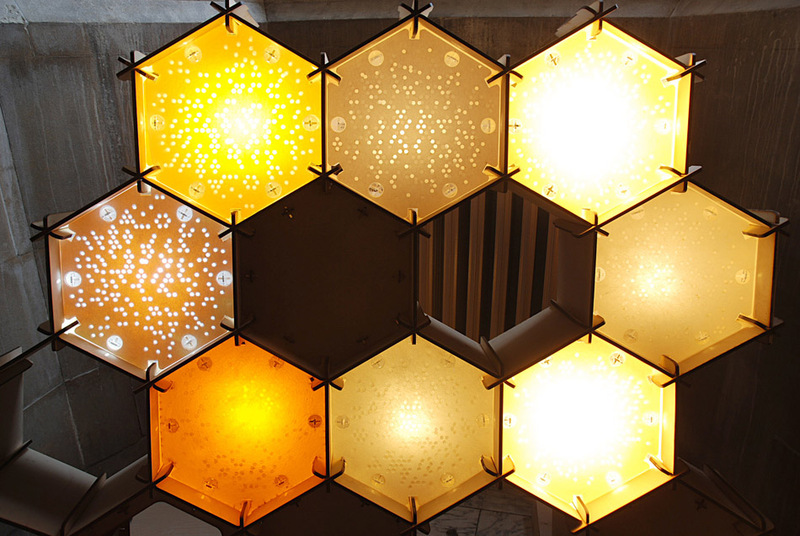 How to create enough light without heat being an issue inside the wooden structure. 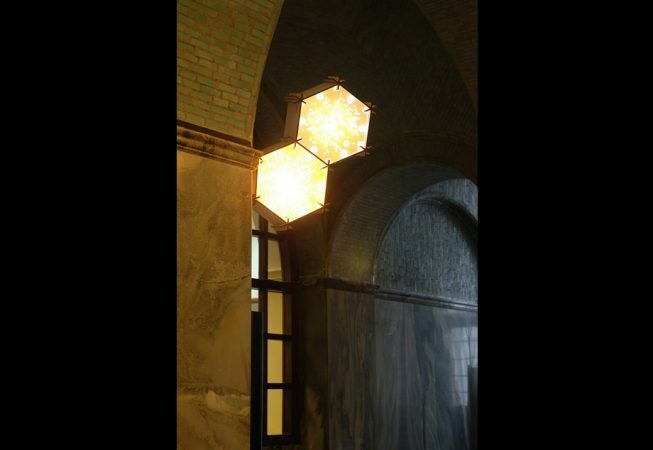 How to design lighting that would create shadows from the audience that disrupt the sculptural forms. 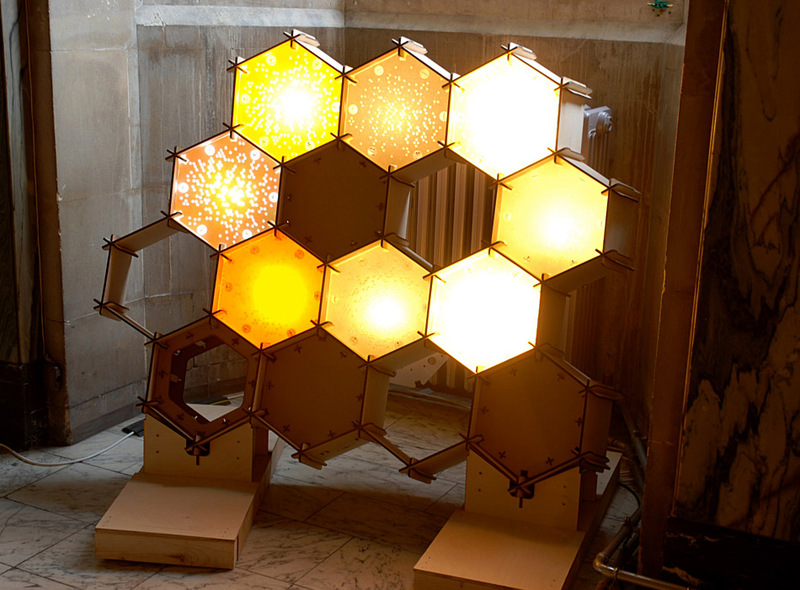 How to create a sense of dappled autumn light and a honey like glow. The solution I found was to use LED floodlights of different colour temperatures in combination with layers of laser-cut colour gel and diffusion material.